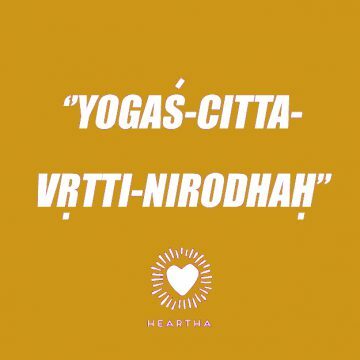 ”Yogas-citta-vrtti-nirodhah”. (Yoga Sūtras of Patañjali, ). To deal with all the mind-stuff (citta vrtti), we need a strong, flexible and healthy body. And that’s why we do all the stretching and the sweating (asna’s). It’s a preparation. A never ending preparation. A support. It roots us. So we can concentrate better, so we can meditate. So we are disciplined to do it. To live life in harmony with our soul, and to reach above the chatter of the mind.